 Select alphabetical tabs to display the entries in the group. 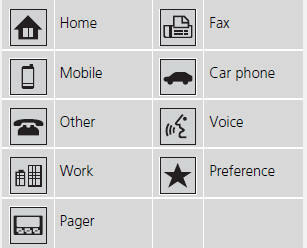 Up to three icons are displayed for each phonebook entry. If there are more than three numbers for an entry, “…” is displayed. This feature is not available on all phones.